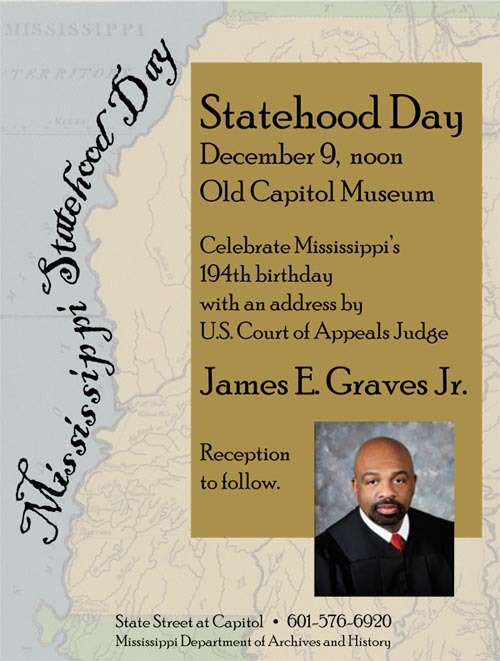 Federal judge James E. Graves, Jr., will be the speaker for the third annual Statehood Day celebration in the historic House of Representatives Chamber of the Old Capitol Museum. The program commemorates Mississippi’s entrance into the Union on December 10, 1817. A reception will follow.